When deciding on what kind of kitchen counters you want there are several options that you can look at and choose from. The great thing is that our company NW Eagle Stone is experienced and certified to help you choose the best fit for your home. The first thing to consider is the lifestyle environment that the counters will endure in your home. For example, if you have small children that will be spending a lot of time in the kitchen, you may want to consider a darker choice of granite for your counters. 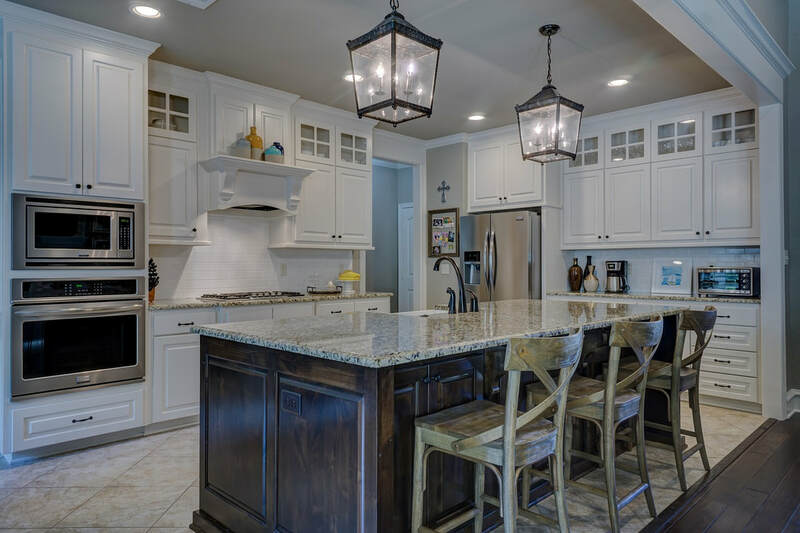 With us, the good news is that there is such a wide variety of options when it comes to granite selection that if you feel like you really like a granite but it won’t match your lifestyle, odds are that there is another color of granite that will. When it comes to granite, no two slabs are the same, one of the many things that makes it so unique. It is a top choice in countertops and is available in a variety of shades such as whites, greens, blacks, darker shades, beiges, and corals. When choosing your granite, you are also presented with two choices of finishes for your counters. The first option is a polished finish which gives a shiny look and can make the appearance of the stone darker. The second is a honed granite slab which has a soft feel and matte look. Another factor is pricing. Granite countertop cost can range between $45 to $200 per square foot, as there are multiple variables affecting the cost of a granite countertops. The cost often depends on the origin, thickness, color, and finish of the stone. Other factors may also play a part in the price of the granite. The typical thickness is 1 ¼ inches for a slab, but there is also an option to use ¾ inch thick stone which is cheaper per square foot and will drive the overall project cost down. However, the ¾ thickness is not as strong and durable in the long run, which also makes it harder to work with. If you would like to figure out the granite countertop cost associated with a particular material please give us a call. Other natural stone materials that are available include marble, limestone, and soapstone. These materials are softer than granite and require greater care and more delicate use. All natural stone countertops need to be re-sealed periodically between 5 to 10 years. Engineered stone has also been very popular lately and is worth consideration. From these, the most common are quartz, caesarstone, and silestone. One of the main benefits of this man-made material is that it is very sturdy and less likely to break or crack under pressure. It is also not porous like granite and much easier to keep clean. Engineered stone however, unlike granite, cannot be repaired if scratched. It comes in a number of color varieties that resemble granite but with a more consistent pattern and color to its look. Quartz countertop cost often ranges from about $80 to $140. For a quote on quartz countertop cost for your home, please don't hesitate to give us a call.